The Stone Age and the Iron Age took place millions of years ago. As the name probably suggests, it is when they discovered Stone and Iron. Where is the Skara Brae? The Skara Brae is on the bay of Skaill (pronounced “scale”) in Scotland. When did people live in the Skara Brae? 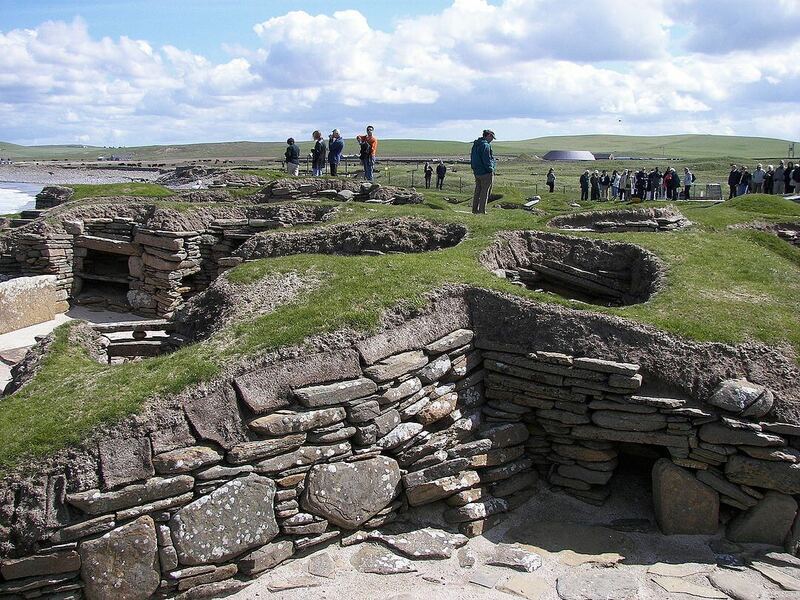 People lived in the Skara Brae around 3180 BC- 2500 BC. This is an example of one of many Stone Age settlements in the UK. The Bronze Age is between the Stone Age and the Iron Age. Stonehenge was built during this time. There were no trucks to transport the stones back then. Instead, they used wooden logs and boats to transport the logs. Some of the stones they got all the way from South Wales, and Stonehenge is in Devon, so that must have been a long way to transport the stones.